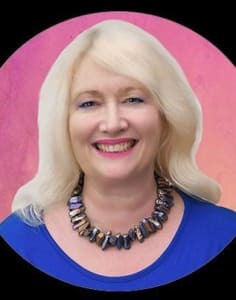 Kimberley Lovell is a leading Women’s Spiritual Intuitive Healer, Energy Alchemist, Coach and Holistic Business Mentor. She works with women, and men, with a big heart and a big vision, who are looking to create quantum leaps in their life, and create their dream life, dream business. On a spiritual path since 20 and living her Soul’s purpose and passion, as a Medium, Master Theta Healer, Channel, Transformational Coach, Teacher and Intuitive Business Mentor her soul has taken her all over the world, on a wonderful, inspiring journey where she has been blessed to work with people from all walks of life. As a qualified and experienced psychotherapist she has a wealth of healing tools at her disposal including; Psychotherapy, Hypnotherapy, NLP, Shamanic Practice, Spiritual Law of Attraction Coaching, Theta Healing and Energy Psychology.